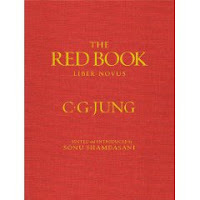 There seems to be a lot of excitement on Twitter about Jung’s The Red Book. There was an article in the New York Times Magazine about the release of The Red Book by Norton. The release date is 7 October 2009 and the price is $195.00 (Amazon is listing it for $117.00). Jung’s method for creating The Red Book was called Active Imagination, which the NYTimes described as “actually induced hallucinations.” The contents of such an exercise are often a mixture of personal and collective unconscious materials, a sort of dumping out of the unconscious. I thought I’d weigh in with some supplementary reading suggestions for those who are unfamiliar with Active Imagination. You can read what Jung himself has said about the method in a book that collects his “key readings” on the subject. The book is entitled C. G. Jung on Active Imagination and is edited by Joan Chodorow. There is a great elaboration on active imagination by Barbara Hannah, who used case studies to further illustrate and explore the method. Ms. Hannah’s book is entitled Encounters with the Soul. And, if you want more, try Marie Louise von Franz’s Alchemical Active Imagination, a heavy duty look at an alchemist’s use of the method before it was called Active Imagination. I’m a huge fan of Marie Louise von Franz’s work, but this is not a zippily read book. Dr. Sonu Shamdasani is one of the translators of The Red Book and provided the scholarly apparatus. He has studied Jungian psychology for more than 15 years and is the Big Brain who spent 5 years working intensively on The Red Book. (A couple of endnotes. Not all Jungians, as described in the NYTimes article, will strangely, immediately and sometimes inappropriately ask you about your dreams. A plug: My first novel, A Particular Obedience, flirts with Analytical Psychology. My second novel, to be released in the summer of 2010, uses a Jungian analysis as part of the narrative. It is entitled How Jung Fluffed My Cotton Candy Powder Dreams).